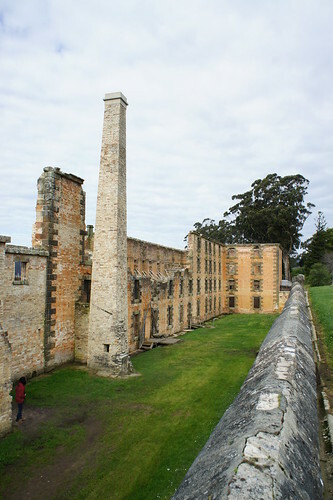 I love history even though my Convict history is poor I've always wanted to visit the Port Arthur site and to be honest I had no idea what to expect. 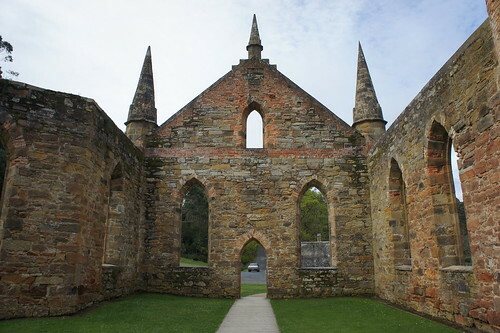 We did a day tour which included a boat trip out to Tasman Island, and unfortunately promised three hours at Port Arthur, but there was only less than two. To me it had a very similar feel to Williamsburg in the US. I don't know if it was the weather the green scenery or just that it was a similar time period. We only had a couple of hours to spend and really it would be easy to spend the whole day here, we missed most of the museum and we didn't get out to the boys prison or the Isle of the Dead (I love checking out old cemeteries). That place looks like it would be great for a history buff to explore, although I must admit I had never heard of it before this post (I'll blame the American in me). I'm sure it's something I'd really enjoy. The Melbourne+Tasmania idea for a trip is looking better and better with each of your posts. 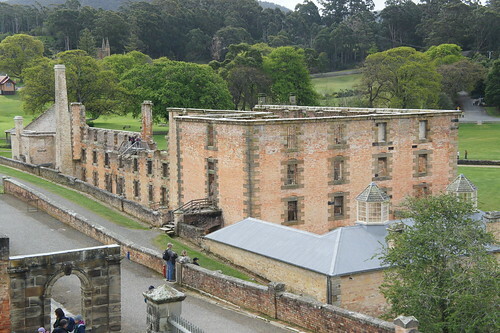 Tasmania is beautiful and there is plenty of day hikes as well as some gorgeous longer walks. It's definitely the best place to escape the heat in the Australia summer!